Game Changing: The Brambles Avocado Pizza! If you're an avid pizza eater and you're also an avo fan, then mixing these two together will probably sound like music to your ears! 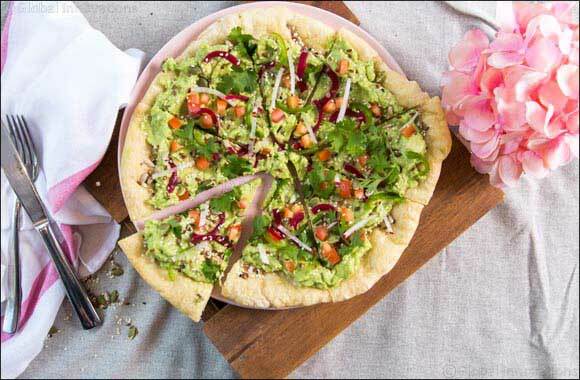 Newly opened Brambles Café in Barsha Heights is switching up the pizza scene in town, as the healthy and wholesome neighbourhood eatery has introduced their healthy, wholesome and delicious vegan avocado pizza. So, whether you're looking for an unconventional breakfast dish, light lunch or a special takeaway to enjoy on a Friday evening, Brambles avocado pizza is the perfect treat to share with your loved ones or enjoy all by yourself! The unique pizza is topped with fresh and flavoursome ingredients such as tomatoes, radish, cilantro, pickled onions, chilli oil and garlic. Not to mention that you can always add some extra protein options to your pizza including chilli fried eggs and chicken. Whatever it takes to conquer your day - Brambles has got you covered! Brambles is open daily 6:30am until 7:30pm Sunday-Thursday and 6.30am until 5.00pm on Friday/Saturday, located in Citadines Metro Central Hotel, Barsha Heights, Dubai with plenty of free parking and free wifi. For more information on Brambles and to stay up-to-date with their latest news follow Brambles at @bramblesdubai.